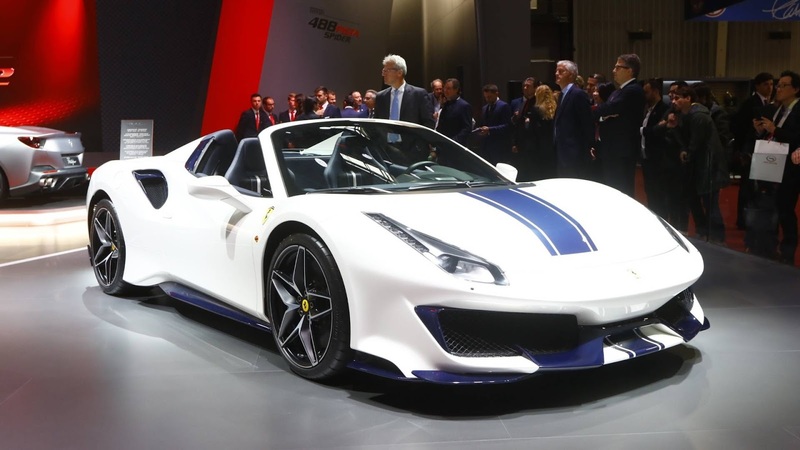 After its world premiere at the Pebble Beach Concours d'Elegance, the new special series of Ferrari 488 Pista Spider made its European debut at the Paris Motor Show 2018. The 50th drop-top model to be introduced by the Prancing Horse is also the most powerful series production spider in Ferrari history, with an unprecedented weight/power ratio, which is 1.92 kg/hp. 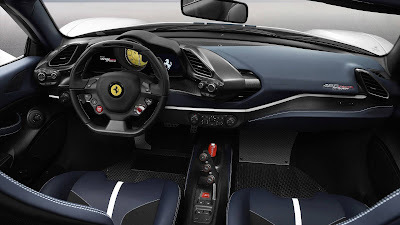 "The Ferrari 488 Pista Spider combines the best racing technology solutions with the excitement of driving to provide a pleasant experience behind the wheel," Ferrari said in a press release. Drivers will be made to feel truly integrated into the car in a symbiotic relationship that guarantees an instant response to absolute orders and controls when executing even the most complicated maneuvers. This is not surprising because the Ferrari 488 Pista Spider has benefited from the largest technology transfer from the highway open road. The engine, dynamics and aerodynamics of this model come from two track cars: 488 Challenge and 488 GTE. The latter won the GT class of the FIA ​​World Resilience Championship in 2017, giving Ferrari a total of five GT Manufacturers titles since the start of the championship in 2012. Furthermore, this model has clearly benefited from the extensive development carried out to produce a coupé version, 488 Pista. 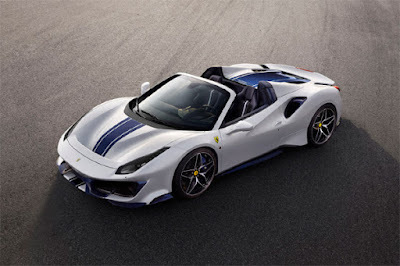 Ferrari 488 Pista Spider, this sports car is equipped with the most powerful V8 engine in Maranello history which is also called the Best Engine for the third consecutive year in the 2018 International Engine of the Year Awards. 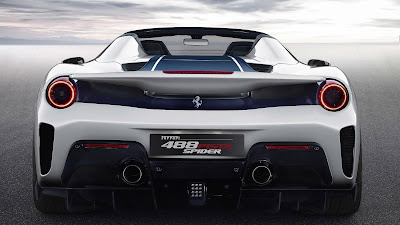 Twin-turbo V8 engine 3.902, cc releases 720 hp (50 hp more than 488 Spider) with calibrated torque to provide a constant feeling, acceleration continues to increase. This machine also won the title "Best of the Best" as the best machine of all winners in the last 20 years. The performance figures are the highest of the Spider ever made by Prancing Horse, including acceleration 0-100 km/h in 2.85 seconds with a top speed matching the Pista Coupe 340 km/h and lap time in Fiorano only 1'21''5. Target customers of 488 Spider Pista are Ferrarista with the typical true who already have other Ferrari spiders. These are drivers who want to feel all the power and speed of the 488 Pista Spider that can also enjoy open roof steering and the soundtrack of an unrivaled engine.